Your own designed versatile removable wallpaper! If you would like to put your own design, pattern, drawing, artwork onto wallpaper that you can remove and take with you, we can produce this, so let your imagination take shape. For the first time you can put your inspiration on the walls of your rooms, knowing it is yours and it is removable, so its not a permanent fixture to the walls. This type of wall covering can be moved and reused for a few of times without losing its adhering qualities, the overlap of 2cm enhances the matching up of the design. Size is calculated by width x height. e.g 2m x 3m wallpaper, size is 2 x 3 which is 6 square metres. You can illuminate your walls with your own brilliance, match soft furnishings and make your room very personal, unique and inspirational. Removable wallpapers can target all the areas of your home, office or commercial outlet, when you get tired of your design its easy to remove and start again. With removable wall paper it is easy to install without any fuss or mess, and you can do this all very quickly, your visitors will be inspired by your very own designs. 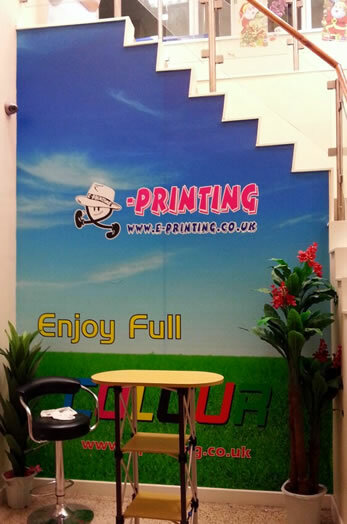 Removable wallpaper is great for offices, shops commercial outlets as well as your home, you can have your logo, brand and products printed onto removable wallpaper to utilise your wall space and make it work for you instead of the usual magnolia paintwork!! So for your inspirational walls call us today, if you require any help with your ideas our design team will be happy to assist. 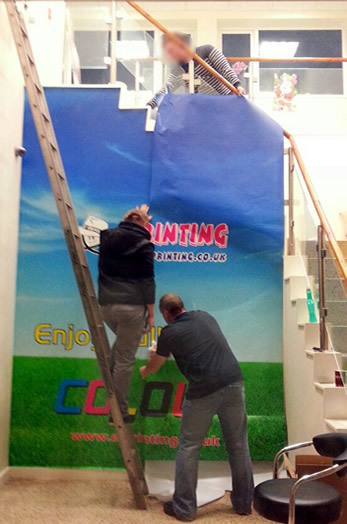 Supplied in rolls of 1.1m with a 2cm overlap on the border for joining the design. Turnaround time: 5-8 working days.